Geraldine discusses The purpose driving the Matrix and AI component of our world, our DNA Origins and power bloodline distribution within history and how this connects with the different Hybridization programs. Finally, why this information is imperative to our Ascension into 5D and beyond. 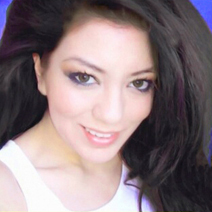 GERALDINE OROZCO is an Intuitive Pranic Healer and Ascension Coach. On October 15, 2013 Geraldine experienced a vivid abduction from her bedroom window where she recounts being taken on board a ship in which she meets tall grays that show her eight hybrid children along with a sting of intriguing information. Upon her return she realizes that this experience results in a hypersensitivity to the human electromagnetic field. This discovery initiates a journey to find the truth about what happened. She reaches out to a hypnotherapist to undergo a regression, and what she finds was way more then she was prepared to learn. Her first hypnotherapy, in June 2017, results in the discovery of repeated abductions originating in her childhood. But, why where they taking her at such an early age? She recounts her abductions through her regressions in which she is surprised with a channeling of information regarding the universe and ancient DNA alterations here on planet earth that operate to seize and control the population through a hidden government. But her journey does not end there. Geraldine recently underwent a second regression, Nov. 10, 2017, in which she goes deep into each abduction in order to understand the reason behind the hybridization program here on earth and how they operate the program among humans – in addition to learning about her own origins.